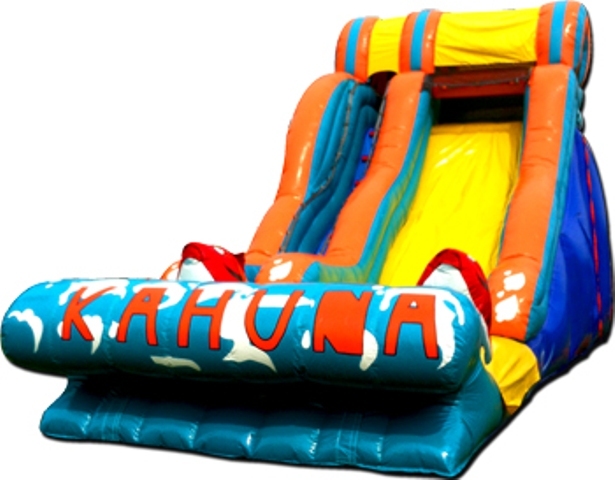 https://amazingjumpswekickthepartyoff.comThe Amazing Kahuna 30ft long slide is an exciting ride from the moment you begin. 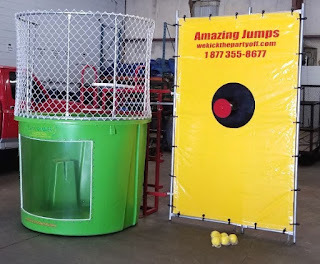 The midway hump provides huge fun, and catch you at the end if you make it past the pool. 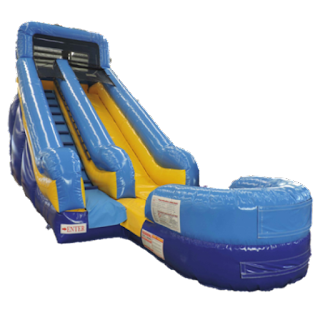 Our exclusive No-Jump TopTM makes this a safe slide because it forces participants to slide down the slide in the proper manner. We have also reinforced all of the stress points with our exclusive Gator MouthTM stress reliefs. This prevents tearing at the wall and floor joints.